The Lightbar is a design feature of the Saab 9-5. The Saab 9-4x had them as well and the successor to the 9-3 would have got them as well. 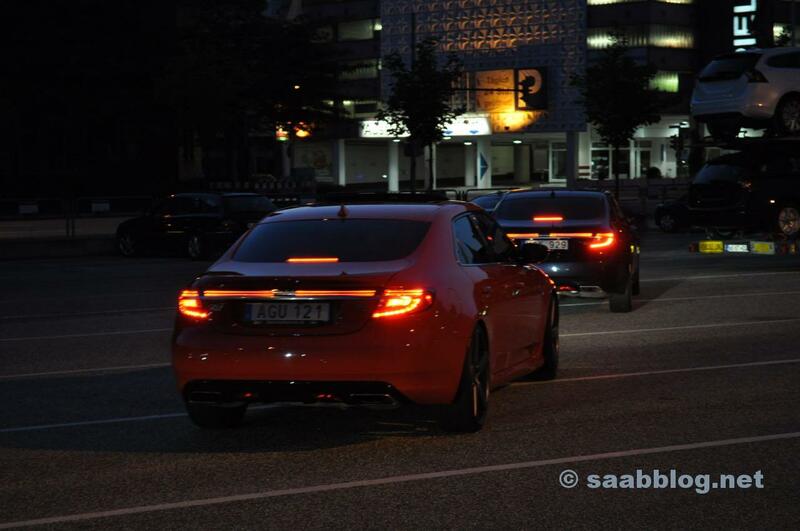 The Lightbar would have become a trademark in all new Saabs. The Swedes took up the classic design language of the 9000 CS, which was coined by Björn Enval. Saab 9-5 NG. Lightbar as a design feature. The Lightbar is without question an eyecatcher. But unfortunately she is not very robust. Over the years, environmental influences increase until they finally fail. Maybe Saab would have the problem in the course of production through model maintenance under control. That accounted for well-known reasons, and Saab 9-5 drivers have to live with what stood in the 2011 series. New parts as a replacement, there are no more - at least not right now. At Orio, our original Saab replacement parts supplier, the Lightbar has been sold out for months. After all, the situation is not completely hopeless; The order system reveals the planned post-production. An 9-5 NG without a working Lightbar - that does not work and makes you unhappy. There is help - as a cheap alternative to the new part, the repair offers. The Saab dealership Lafrentz offers a repair service for defective parts. No exchange service according to the motto old against new; the lightbar must be sent to Kiel for a cost estimate. Unfortunately, not every defective part is repairable, so Lightbars with cracks or crashes can not be permanently put into a functional condition. The repair of the Lightbar takes several days and is cheaper than the exchange for a new part. For the post-production will be based on our information on the previous prices. ← Weekly Review. Saab in the heart. And in the air. A thought too "Saab 9-5 NG. Lightbar repair." Very good to know. Have already exchanged my with a new one but still keep the old one. Will send this meal to Lafrentz so I always have a functioning in house.